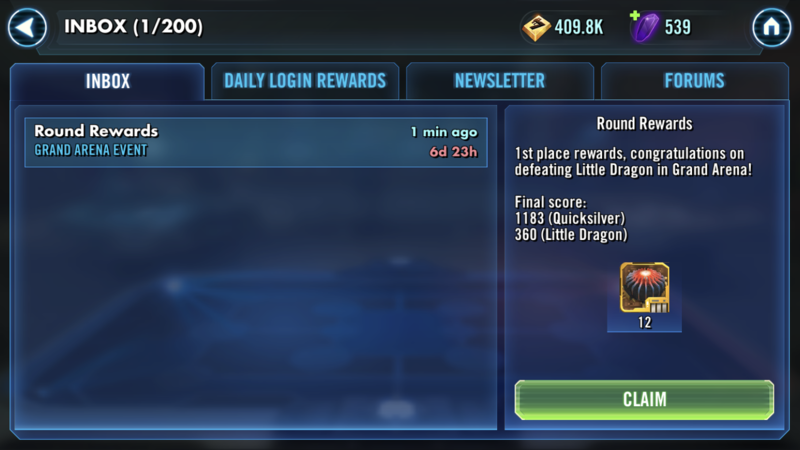 We were told that there would be better round rewards to compensate for the GA getting delayed, yet they are the same as ever. Sorry, exact wording was modified, but they are still unchanged. The rewards for this GA were explicitly said to be exempt from the changes, so I doubt that is the case. Just adding to the conversation since there's no answer yet. Need free stuff. 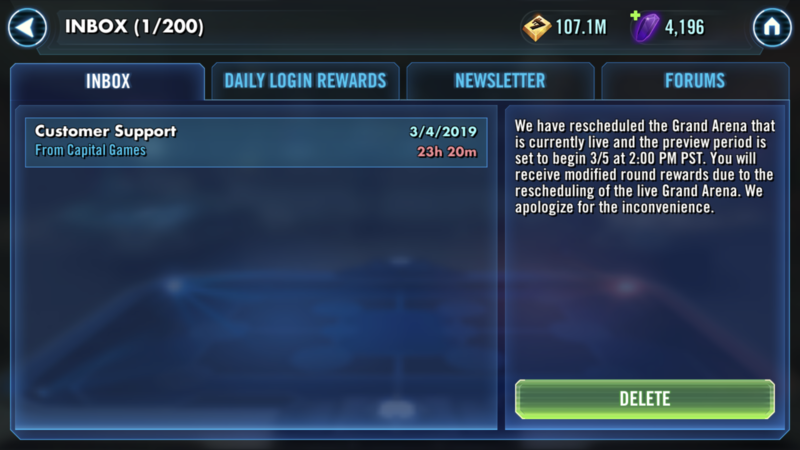 The system was still going to send round rewards to everyone who signed up for the canceled event on the 5th even though we were rescheduling to later in the week. Many players did not get a chance to sign up because of the overlap of events so we reduced round rewards for the canceled event to 1 credit in order to give everyone a fair chance to sign up and get rewards later in the week. That was what was referred to as the modified round rewards. There are no extra rewards added to the following Grand Arenas.